Indian companies expect to begin deliveries of dairy products to Russia by the end of this year. A high-level meeting next month will seek to simplify procedures to allow Indian dairy produce to reach Russian retail outlets. Dairy product companies in India are hopeful they will begin deliveries of dairy produce to Russia by December 2015, the newspaper Business Standard reported. According to the newspaper’s government source, representatives of Rosselkhoznadzor will meet with India’s Commerce and Industry Minister Nirmala Sitharaman this September. The talks will focus on simplifying the protocol on compliance with procedures to ensure the safety of dairy products, which will allow Indian companies to start exporting to Russia. India has so far refused to sign this document, insisting that the “requirement, under which raw milk must be obtained only from cattle originating from the large farms (at least 1,000 head), makes it impossible for leading Indian enterprises to start making deliveries to Russia”. 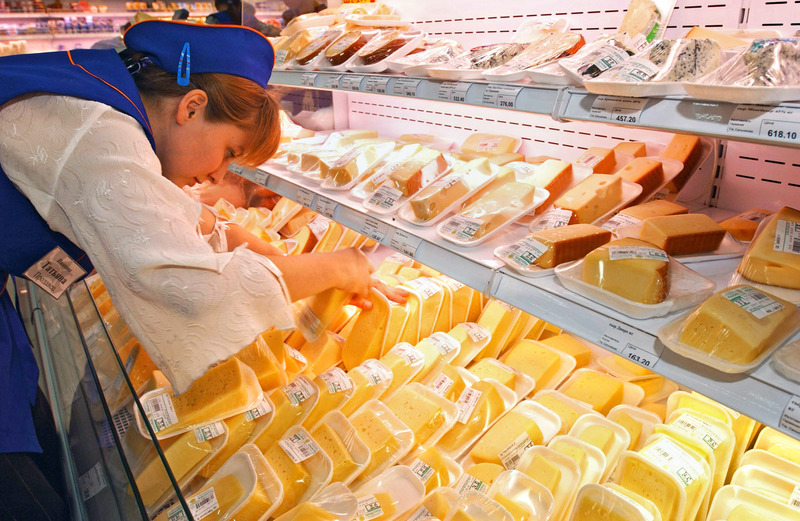 Earlier this year, in April, Rosselkhoznadzor allowed the export of dairy products from India into Russia, and included two Indian manufacturers of hard cheeses in its register of organizations and individuals that have the right to supply products. These two companies were Parag Milk Foods and Shreiber Dynamix Diaries. Until the protocol on compliance is signed, however, the deliveries cannot start. The representative of the Indian association for the development of exports of agricultural products (Agricultural and Processed Food Products Export Development Authority, APEDA) told TASS that the protocol on compliance “contains about 10 requirements”. “According to the first and main requirement, raw milk must be obtained only from cattle originating from the large farms (at least 1,000 head), using zero grazing and directly owned by the enterprise. For the manufacturing of products intended for export to Russia, one cannot use raw milk obtained from milk-collection points,” he said. In addition, Russia prohibits “the use in manufacturing of raw milk obtained during the first seven days after the end of calving of animals and during five days before the start of calving, from sick and under quarantine animals, as well as after the medical treatment of animals”, states the document . The protocol also contains compulsory heat treatment of all products, and adds that the enterprises producing finished dairy products for export from India to Russia, as well as their resource base, must be periodically monitored by Rosselkhoznadzor.